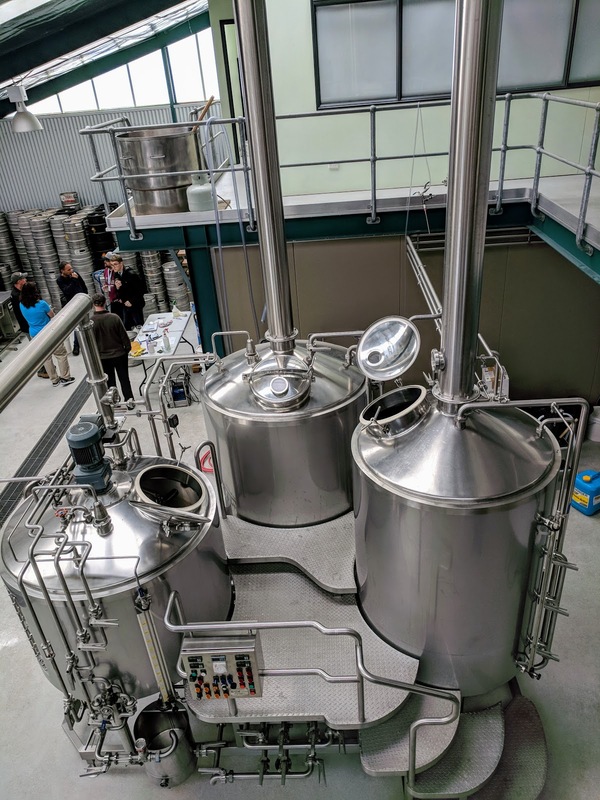 Craft beer in New Zealand is a thriving enterprise, particularly around Nelson on the South Island. In fact, New Zealand is one of the top 10 hops producers in the world which may explain why so many craft brewers have set up shop here. Read on to find out about our experience visiting Nelson breweries and our "Plan B" which turned into an "A+" choice due to the rainy weather we encountered on our visit. SIDEWALK SAFARI SPOTLIGHT: Planning to spend a few weeks in New Zealand? 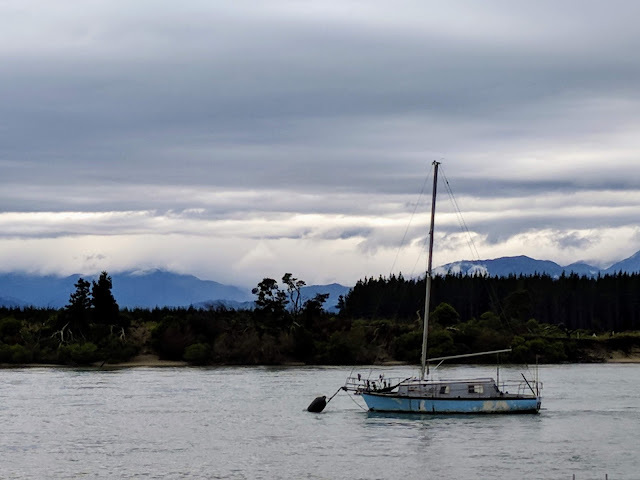 Check out 10 things to do with 3 weeks in New Zealand and our recommended 2 week itinerary for 2nd time visitors. Nelson is most famous for being a good home base for exploring Abel Tasman National Park. But what can you do if it rains? Ironically, Nelson is sometimes dubbed "Sunny Nelson" due to its reputation for beautiful weather. We simply got unlucky and it bucketed rain the entire time we were there. We originally planned to visit Abel Tasman National Park but the thought of hiking for hours when it's absolutely lashing out was simply not appealing. 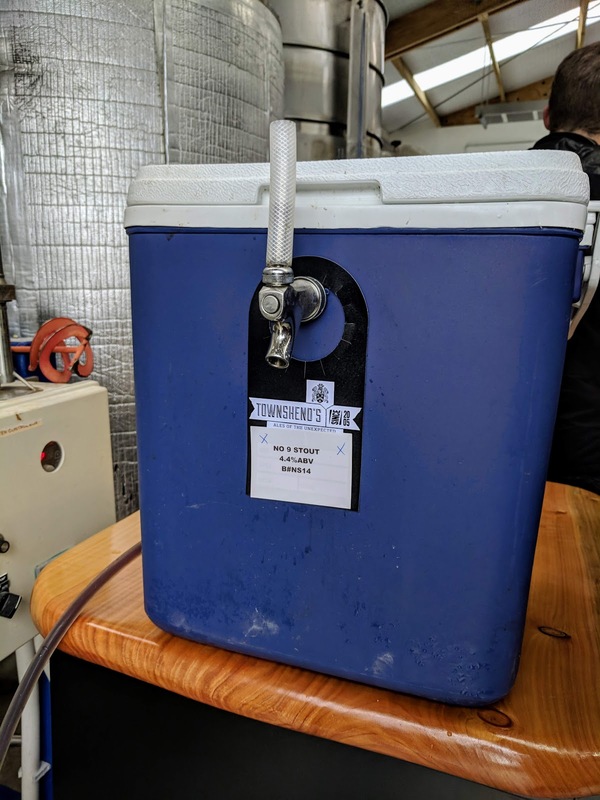 Nelson breweries to the rescue! 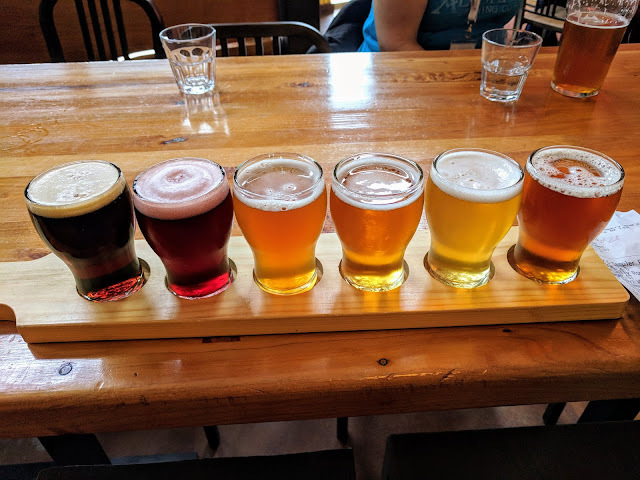 Craft beer tours and tastings are definitely a great indoor activity in Nelson when it rains. 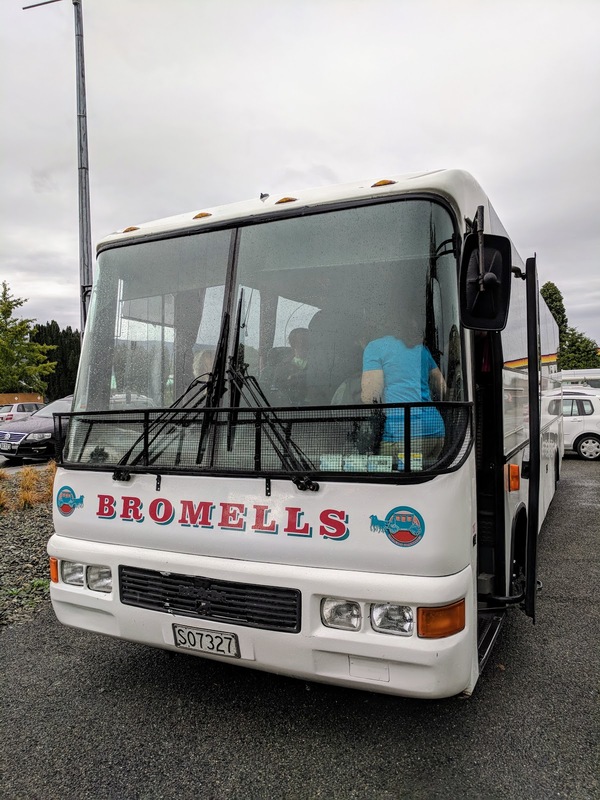 All Aboard the Nelson Craft Beer Imbiber Bus! Coincidentally, we were in New Zealand during Nelson Beer Week and Brewmania, a home beer brewers conference, was just kicking off. There were lots of special events and tours on in conjunction with the conference. We discovered a day trip on the Imbiber Bus. For $65 NZD, we spent a warm and dry day touring Nelson's breweries and sipping Nelson craft beer. 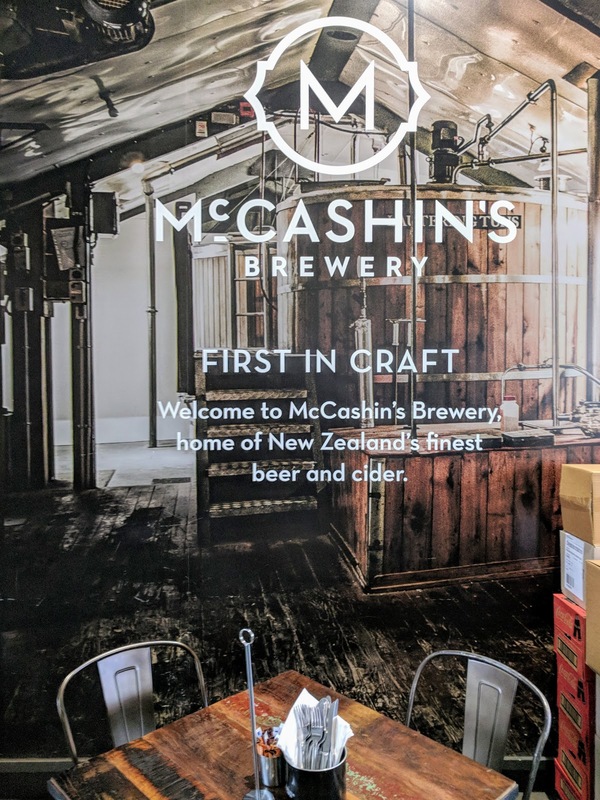 Our first stop on the Imbiber bus was at McCashin's Brewery. We were treated to a tour of the brewery and bottling line plus a few tastes directly from the tanks. 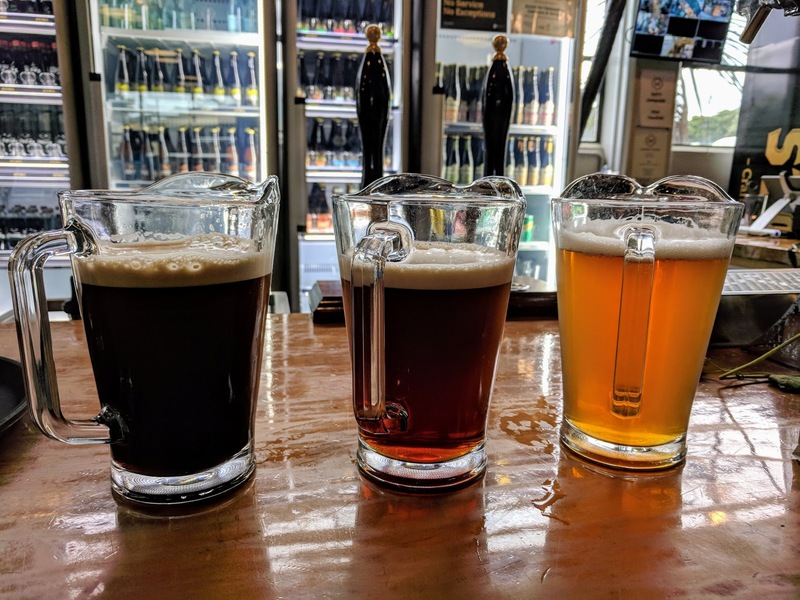 Generous pours of three different McCashin craft beers rounded out the experience. We sampled Stoke Amber, Stoke IPA, and my favorite, Stoke Pilsner, which was surprisingly hoppy. Eddyline Brewery was the next stop on our Imbiber Bus tour. Located just outside of Nelson in Richmond, Eddyline is run by an American couple with a successful craft brewery in Colorado. They decamped to New Zealand for the slower pace of life and to give their kids an international experience. Eddyline is a microbrewery that shares space with a pizza restaurant. 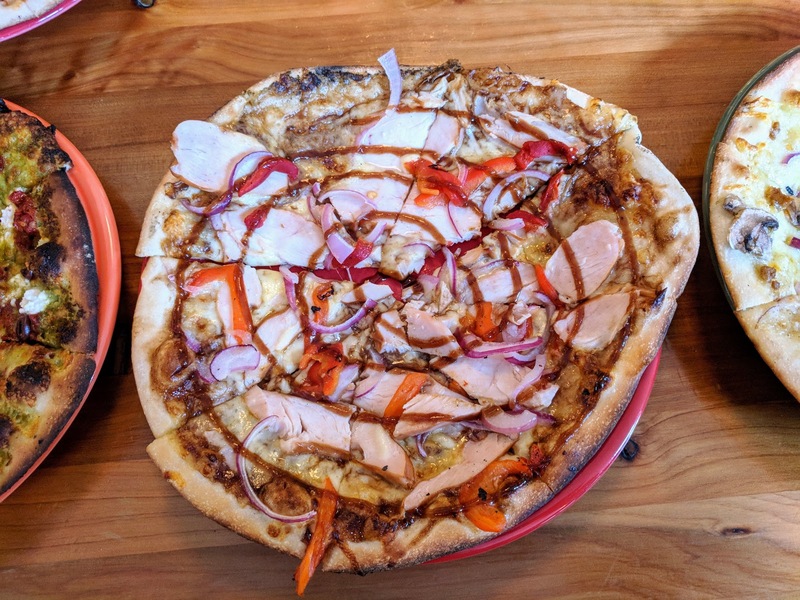 We ate delicious pizzas with creative topping and sampled a paddle of Nelson craft beers. The pizza was included in the price of the tour but the beers were not. We tasted: Jolly Roger Black Lager, Boysenberry Wheat, Summer in the Citra, Pozzy Pale Ale, Hop Rider Pale Ale and the intriguingly names Crank Yanker. Eddyline's Boysenberry Wheat beer was my favorite. It was super fruity but not too sweet. It was a little sour too. Definitely unique! 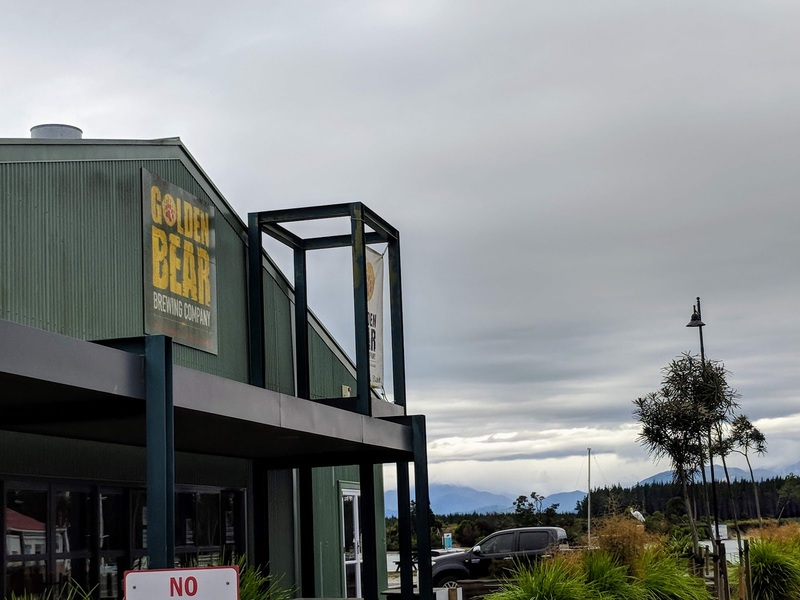 The Imbiber Bus rolled on to Golden Bear Brewing Company in the picturesque town of Mapua. Golden Bear is run by an American Expat from (surprise) Calfornia. 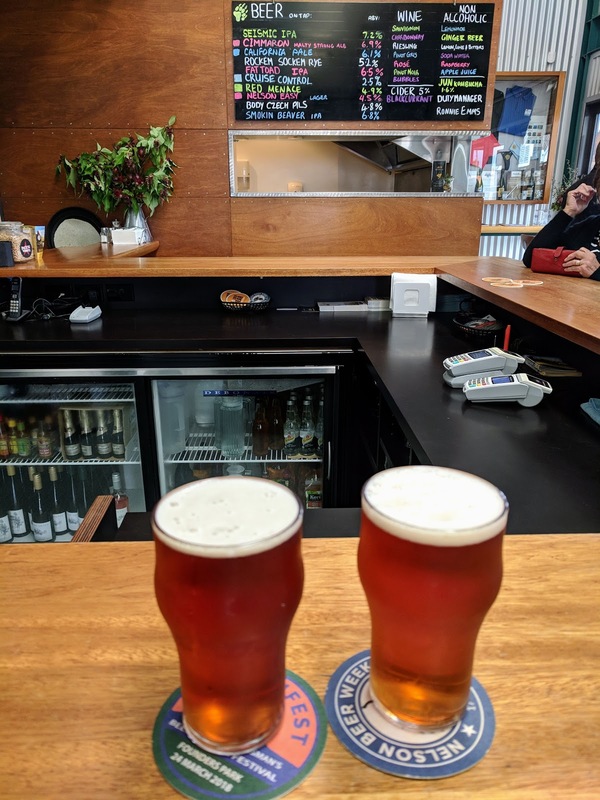 This Nelson brewery is located on Mapua Wharf near the entrance to Tasman Bay. Moody views and stunning scenery await. We opted to try a pint of Smoking Beaver which was lively and hops-filled. The pint was not included in the price of the tour. We also got a tour of the on-premise microbrewery with owner Jim. Jim told us about his strategy to make Golden Bear into a premier regional venue with seasonal live music on the weekends. Our final stop on Nelson's Imbiber Bus was Townshend Brewery in Motueka located about a 45 minute drive from Nelson. 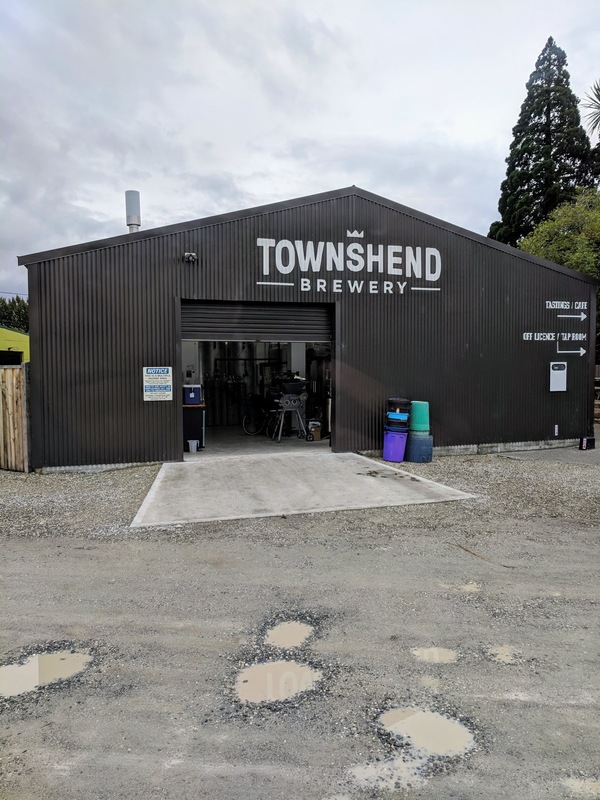 Townshend is run by a Kiwi and is situated behind Toad Hall which offers great baked goods and a cute resident dog named Jack. We got a tour of the facility from founder Martin Townshend. He'd set up a "chilly bin" (aka a cooler) filled with Number 9 Stout. As Martin was talking, we were encouraged to pour ourselves a glass of beer to accompany the discussion. I really enjoyed Townshend Number 9 Stout. It had a great, rich chocolaty taste but with a bit more carbonation than your average stout making it more lively. If you happen to visit Nelson and don't have the means to get around to the various Nelson craft beer breweries that we did (why can't there be an Imbiber Bus tour every day? ), you can get your fill locally. We stopped for dinner at Sprig and Fern near Nelson town. 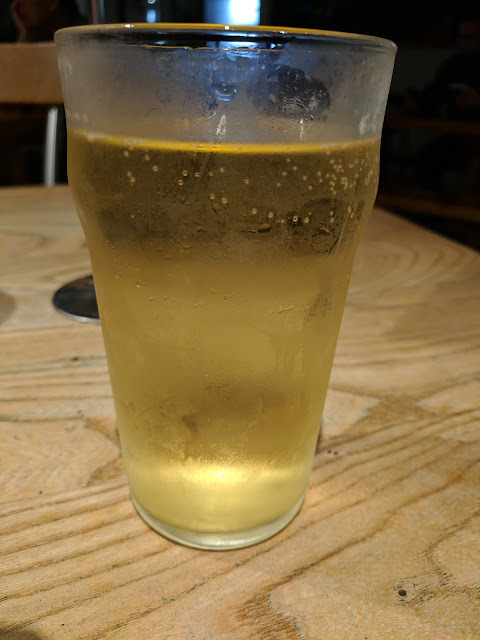 I sampled Crisp Apple Cider from Sprig and Fern Brewery which was made with local Nelson apples. The cider paired extremely well with pork belly served with local pears plus walnuts and blue cheese. Sprig and Fern has you covered if you are looking for a foodie experience with your Nelson craft beer. Are you planning your own trip to drink craft beer in New Zealand? Check out this handy map of the Nelson craft beer breweries and bars that we visited on the Imbiber Bus. As you can see, tasting Nelson craft beer is a great way to spend a day if the weather doesn't cooperate on your visit to New Zealand. 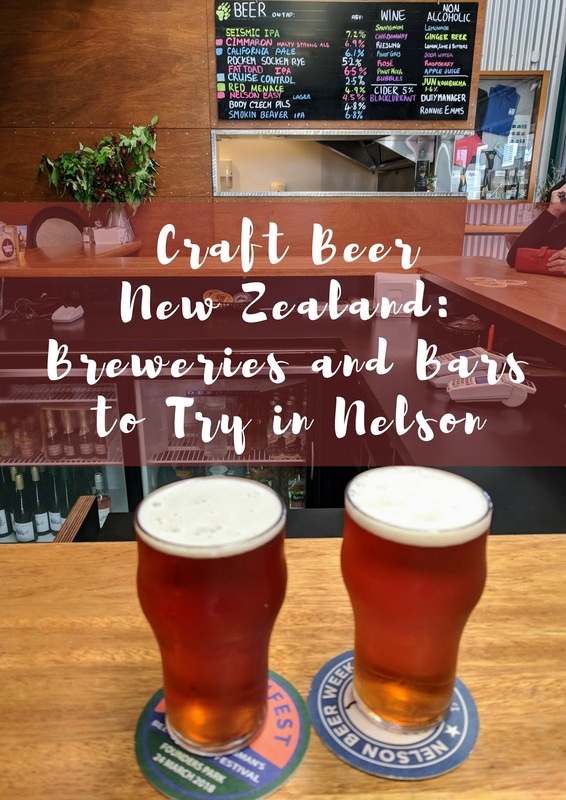 Have you tasted any Nelson craft beers? What did you think? Visit Nelson breweries on the South Island of New Zealand. Drink Nelson craft beer at McCashin's Brewery, Golden Bear Brewing Company, Eddyline Brewery and Townshend Brewery. Drink Nelson beer at Sprig and Fern.